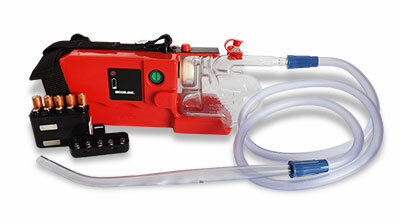 Tracheal suctioning saves lives. 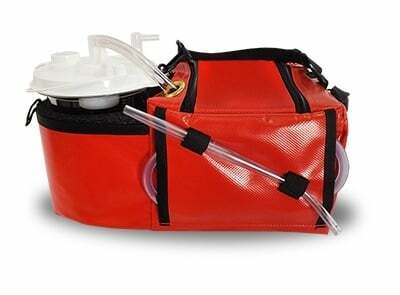 It can maintain a patent airway in patients with infections who cannot clear their own airway. 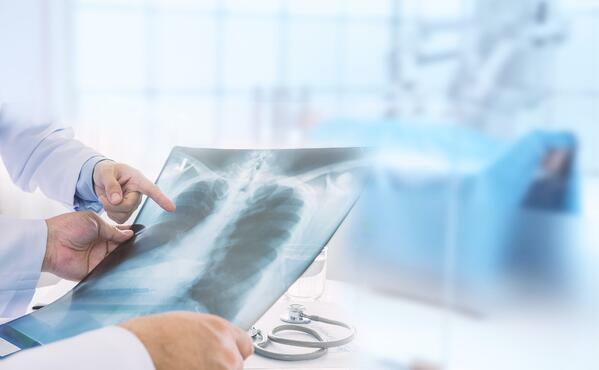 It’s a first line of defense against aspiration pneumonia and can prevent hypoxia in patients experiencing anaphylaxis and airway obstructions. Like other life-saving procedures, tracheal suctioning poses numerous risks. Inadequate training, high-chaos environments, and poorly maintained equipment all increase these risks. Knowing the most common morbidities associated with tracheal suctioning is key to preventing bad outcomes. Intubation can interrupt the inspiration of oxygen. The catheter itself may create a partial airway obstruction. Oxygenating the patient before the procedure can lower the risk of hypoxia. First responders must monitor patients for signs of hypoxia, particularly if they have a history of hypoxia, heart disease, or pulmonary disorders. Traumatic injuries to the airway and surrounding structures are common. In some cases, these injuries exacerbate an underlying condition. For example, blood from trauma to the throat may make it more difficult to clear the airway. Traumatic injuries can also cause immense pain and worsen patient anxiety. Using the right catheter can prevent many iatrogenic injuries. A catheter that is too large poses significant risks, especially for neonates and the elderly. It’s also important to visualize the airway before beginning suctioning. No two airways are exactly alike, and patiently watching your own maneuvers can prevent needless trauma. Be mindful of dental structures that may be knocked loose, since these can also be a source of traumatic airway injuries. 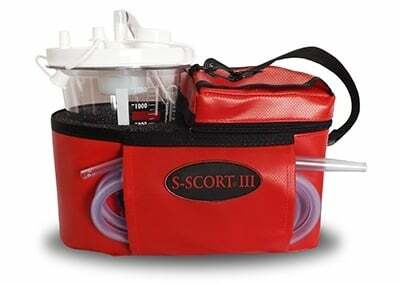 Many patients find suctioning painful, especially if they already have a traumatic injury or infection. A gentle technique and a few reassuring words may help. Flexible catheters are also key here, since a catheter that is too rigid is more likely to irritate delicate airways. Suctioning may stimulate the vagus nerve, triggering a vasovagal reaction that causes bradycardia and hypoxia. In patients with cardiac health issues, this can be dangerous, or even deadly. Some patients may faint, so it’s important to only suction a patient who is in a stable, supported position. When patients need suctioning following a physical trauma, such as a car accident, carefully monitor blood pressure. Stimulation of the vagus nerve is more likely to cause fainting and other complications in patients with low blood pressure. 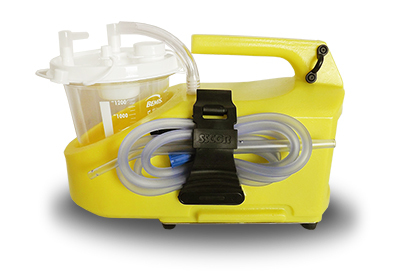 Suctioning can introduce dangerous pathogens directly into the bloodstream. Never reuse disposable suction attachments. Carefully sanitize every part according to the manufacturer’s instructions. Wear a new pair of gloves with each patient and practice basic medical hygiene, such as washing hands and wearing a mask. People with active infections, even a minor cold, should never suction vulnerable patients. When working with medically fragile patients, such as neonates or those with HIV/AIDS, it may be necessary to take additional precautions to lower the risk of infection. Patients may find tracheal suctioning frightening and stressful. Patiently explaining the procedure and offering gentle support can help. Children and elders with neurocognitive deficits may find compliance difficult and be especially prone to distress. Avoid restraint if possible. Instead, adopt a soothing tone and enlist the support of the patient’s caregiver. Medical errors are the third leading cause of death in the United States, claiming more than 250,000 lives annually. Many iatrogenic injuries are preventable with training, diligence, and attention to detail. 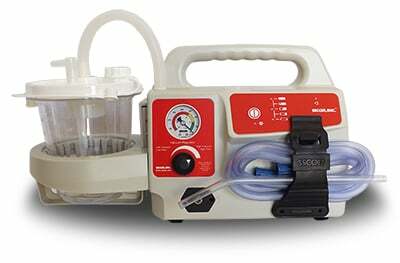 First responders must take seriously the possibility that the wrong suction technique can do more harm than good. Certain patients, especially neonates, the elderly, and those with infections, are more likely to suffer serious complications during tracheal suctioning. When working with vulnerable populations, it’s critical to be mindful of the unique risks they face. 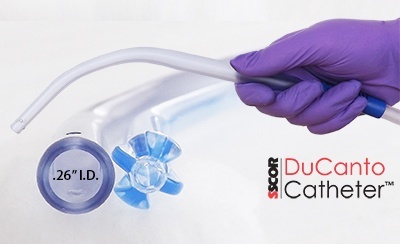 First responders should also note that anyone can be injured by endotracheal suctioning so you must always carefully weigh the benefits and risks of suctioning the airway before proceeding. 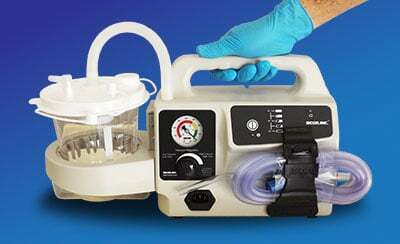 The right equipment makes airway management safer and more intuitive. 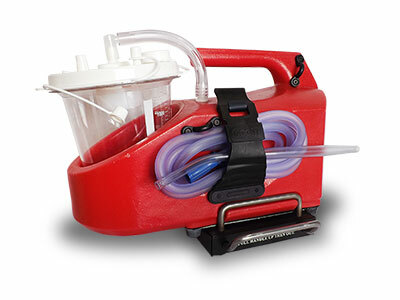 For help choosing the right portable emergency suction device for your patients’ needs, download our free guide, The Ultimate Guide to Purchasing a Portable Emergency Suction Device.